Drafted 1st overall by the Toronto Maple Leafs in the 1985 NHL Entry Draft after spending his Junior career with his home Province Saskatoon Blades on the WHL. Clark represented Canada in the ’85 World Juniors winning Gold. 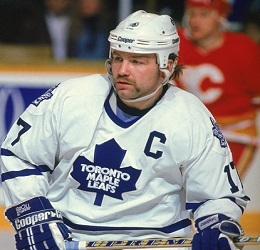 In his rookie season with the Leafs, Wendel made an immediate impact in the league and with Leafs Nation. He scored 34 goals for 45 points and took on all comers racking up 227 penalty minutes. His physical style of play and offensive talent built the foundation of a great career and later leading to Clark becoming the Captain of the storied Maple Leafs. He led by example and was the one working the hardest and scoring the big goals.In 793 career NHL games Clark recorded 564 points and 1690 Penalty Minutes playing for Toronto, Quebec, NY Islanders, Tampa Bay, Detroit & Chicago. 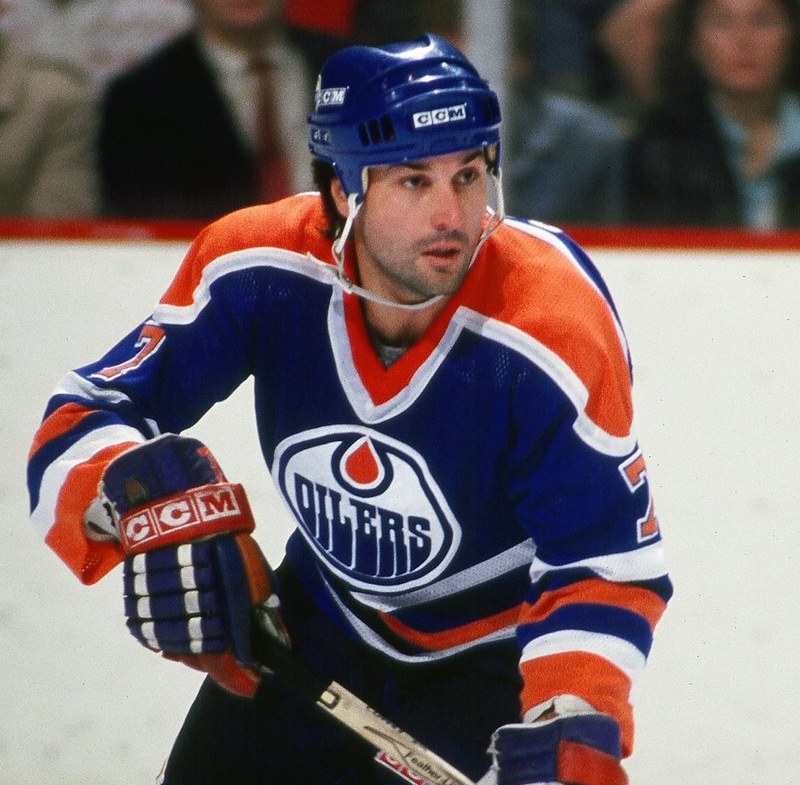 The ultimate offensive defenseman, Paul Coffey’s 21-year career brought him to nine different NHL teams. Drafted by the Edmonton Oilers in 1980, Coffey’s skill set meshed perfectly with their style. He led all defensemen in scoring in his second year and was second in points only to Wayne Gretzky in 1984. That year, and the next, Coffey and the Oilers won the Stanley Cup; Coffey would also collect the Norris Trophy for best defenseman in 1985. Traded to Pittsburgh in 1987, he won another Cup with the Penguins in 1991, as well as passing the 100-point plateau for a fourth and fifth time. Coffey went on to play for the Los Angeles Kings, Detroit Red Wings, Hartford Whalers, Chicago Blackhawks, Carolina Hurricanes and Boston Bruins. He finished with three Norris Trophies and is the second most proficient defenseman in NHL history. Al Iafrate is a retired American professional ice hockey defenseman who played in the National Hockey League between 1984 and 1998 after bring selected 4th overall by the Toronto Maple Leafs in the 1984 NHL Entry Draft He played 799 career NHL games over twelve NHL seasons, scoring 152 goals and 311 assists for 463 points. He also compiled 1301 penalty minutes. 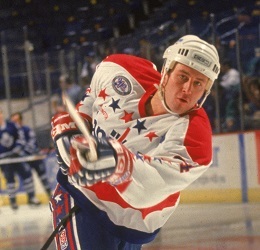 His best season statistically was the 1992–93 season, when he scored 25 goals and 41 assists for 66 points when he was with the Washington Capitals and in a year that the Capitals set a record for most goals by defensemen on a team in one season. Al is perhaps most famous for his rocket slap shot that set the NHL Skills Competition record, which stood for 16 years, at 105.2 miles per hour (169.3 km/h).